Sinuses are hollow air filled spaces in the skull, found between the eyes (ethmoid sinus), the forehead (frontal sinus), nose (sphenoid sinus) and cheek bones (maxillary sinus). The sinuses are lined with mucus secreting cells. This mucus traps the germs and the pollutants in the sinuses and is drained, through the opening of the sinus, into the nasal cavity. This keeps the sinuses clean and healthy. 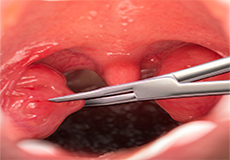 Adenoidectomy is a surgery for removal of the adenoids. Adenoids are small lumps of tissue located behind the nose, just above the tonsils. However, they are not as directly visible as the tonsils. The adenoids are crucial in fighting off infections in babies and young children. They disappear as a part of the normal growing process, and are not seen in adults. 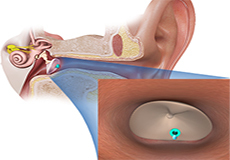 Tympanostomy tube insertion is a short duration procedure carried out under general anesthesia. 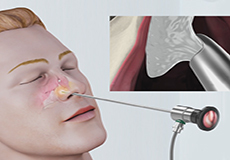 Septoplasty is a reconstructive surgery performed to straighten a deviated nasal septum. The septum acts as a dividing wall between the two nostrils. Deviations in the septum may develop as a part of the normal growth process during childhood and puberty. The deviation can also be present at birth or can be caused from injury to the nose. 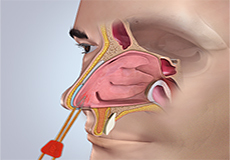 Nasal polyps are benign (non-cancerous) growths that develop in the lining of the nasal passages or sinuses. They are either present singly or as multiples, appearing as grey or yellow colored masses resembling a cluster of grapes. 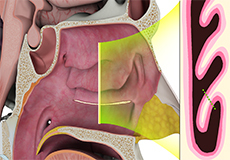 Inferior turbinate reduction is a surgery carried out to reduce the size of the turbinates inside the nose without impairing their natural function. 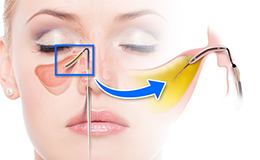 Nasal cautery is a minor surgical procedure to treat recurring nose bleeds. Nose bleeds occur when the mucosa of the nose erodes, exposing blood vessels that break down causing bleeding. The mucosa may erode due to trauma, infections, or hypertension.